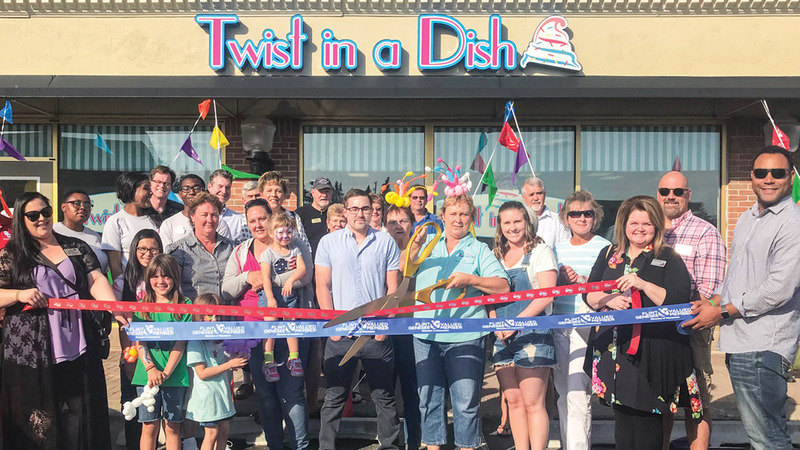 (Featured) Twist in a Dish, 4270 Miller Rd., Flint Township, on June 7. Self-serve yogurt and more. 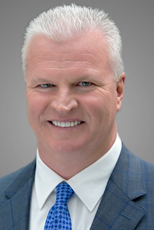 Diplomat Pharmacy, Inc. has named Brian Griffin as its new chief executive officer and chairman of the Board of Directors, effective June 4. 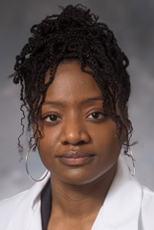 Griffin is formerly the executive vice president and CEO of IngenioRx, the pharmacy benefit manager of Anthem, Inc.
Genesee Health System (GHS) has named Dr. Wendy Ringo as the new executive director of Genesee Community Health Center. She will also serve as the GHS’ vice president of medical operations. Dr. Ringo is formerly the chief operating officer for a large healthcare system with 10 clinics in Chicago. 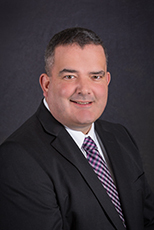 Mobile Medical Response (MMR) has named Jason MacDonald the vice president of operations to provide oversight and direction for the clinical and ambulance operational aspects of the organization. MacDonald has been with MMR since 1996 and has served the organization in a variety of roles, including staff paramedic, paramedic supervisor, operations manager and operations director. He is also an Instructor/Coordinator and previously taught EMT-Basic programs prior to taking on leadership responsibilities. Kettering University President Dr. Robert K. McMahan was appointed by Michigan Gov. Rick Snyder to the Michigan Economic Development Corp. (MEDC) Executive Committee. The committee is charged with management and guidance of MEDC development projects and policy initiatives. 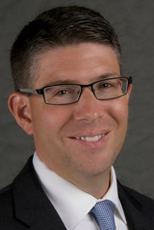 Pioneer State Mutual Insurance Co. has promoted Jason VanSteenburg to vice president/director of marketing. 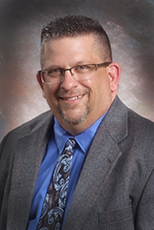 VanSteenburg joined PSMIC in 1998 as a claims adjuster and, for the past 12 years, has played an integral role in developing relationships as the agency director. 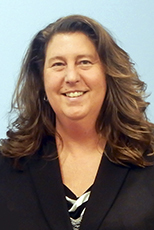 Kara Ross has been appointed the new president and chief executive officer of the Food Bank of Eastern Michigan, following a national search. Ross is a 20-year veteran of the organization and most recently served as the interim president. ROWE Professional Services Co. named Rick A. Freeman, PE, the new director of engineering following 18 years serving as the deputy director of engineering. As director of engineering, Freeman leads the nearly 90-member engineering staff in the company’s eight offices. 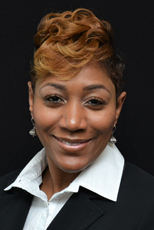 Freeman joined ROWE in 1998 with 12 years’ experience, became an associate in 2002, and a principal/vice president in 2006. Petagaye English, DO, has joined the Genesys Health System care team and is now seeing patients. Dr. English joined Dr. Melanie Pendergrass at Genesys Primary Care Grand Blanc, 8392 Holly Rd. (previously known as Genesys Internal Medicine). As a primary care physician, Dr. English will care for patients of all ages – from infants to adults. Lewis & Knopf, CPAs, P.C. announced the addition of Jarrod Berkey as staff accountant. Berkey, who previously served the firm as a tax intern, is currently in the process of earning his CPA designation. Prior to pursuing a career in accounting, Berkey was an elementary school teacher for Flint Community Schools. Howard & Howard Attorneys PLLC announced that 30 of its attorneys have been named to Michigan Leading Lawyers 2018: Gustaf R. Andreasen; Michael J. Beals; Michael M. Bell; Daniel H. Bliss; Brandon J. Booth; Henry J. Brennan, III; Mark A. Davis, President & CEO; Joseph J. DeVito; Robert E. Graziani; Lisa S. Gretchko; Andrew (Jake) Grove; Sam J. Haidle; Jeffrey A. Hoover; Wayne C. Inman; Michael V. Kell; Rodger A. Kershner; Bradley J. Knickerbocker; Henry P. Lee; Patrick M. McCarthy; Gerald E. McGlynn, III; Richard M. Miettinen; Susan E. Padley; Gary A. Peters; Mark W. Peyser; Brad A. Rayle; Jeffrey A. Sadowski; Michael F. Wais; Thomas H. Walters; John A. Wise; and Timothy M. Wittebort. Lambert, Edwards & Associates, a leading PR, investor relations and integrated communications agency, has acquired the financial communications firm Owen Blicksilver Public Relations, Inc. The move creates a national top-10 investor relations, transaction and financial communications firm, and a top-five private equity-focused PR firm. Genisys Credit Union in May presented a check for $36,000 to The Oakland Livingston Human Service Agency for its Walk for Warmth campaign. The money was raised by Genisys members and staff through several fundraising activities leading up to the event. The walk, held earlier this year at Great Lakes Crossing Outlets, raised money to help people who experience utility emergencies throughout the year. Genisys has sponsored the walk as part of its Making a Difference campaign for over 20 years and has provided $392,000 to help those who need emergency heat related services over the years. The University of Michigan-Flint School of Health Professions and Studies (SHPS) has been renamed the College of Health Sciences (CHS) to encompass its expanded programs and enhanced offerings to students. The change, which took effect July 1, was approved the by the university’s Board of Regents. “This name change is the culmination of our institution’s progress in health science teaching and training to meet the demands of an evolving marketplace,” said UM-Flint Chancellor Susan E. Borrego. Genesee County Parks is celebrating 50 years. The seed was planted in 1960 when the Genesee Recreation Area was embedded into the City of Flint’s Master Plan. It gained traction in 1964 when Charles Stewart Mott said, “Let’s do it.” Thanks to the foresight and support of Mott and the Charles Stewart Mott Foundation, the county park system began to take shape, starting with the passage of a millage and the subsequent land acquisition. Genesys Health System has received the American Heart Association/American Stroke Association’s Get With The Guidelines®-Stroke Gold Plus Quality Achievement Award for the second consecutive year. The award recognizes the hospital’s commitment to ensuring stroke patients receive the most appropriate treatment according to nationally recognized, research-based guidelines based on the latest scientific evidence. Security Credit Union announced the recent election of officers to its Board of Directors during the credit union’s May 15 organizational meeting. The elected officers include: Kennith Scott, Chairman; John Truchan, First Vice Chairman; Joseph Niedzwiecki, Second Vice Chairman; Phillip Thick, Treasurer; Richard Hazel, Secretary; and Donald Henry, Assistant Treasurer/Assistant Secretary. Dort Federal Credit Union is a recipient of the 2018 Governor’s Service Award in the Corporate Community Leader category. The Governor’s Service Awards are given annually by the Michigan governor to individuals, organizations and businesses to acknowledge their commitment to serving their communities through volunteerism. In 2017, Dort Federal donated to, volunteered at, and/or participated in nearly 100 events and charities in the community. This has led to countless hours of volunteer work by employees, 45 pints of blood donated, and over $19,000 raised personally from employees and donated to charities. Al Serra Chevrolet garnered the prestigious Dealer of the Year award for 17th straight year, one of only a handful of dealerships nationwide earning the honor every year since its inception in 2000. In 2017, Al Serra Chevrolet enjoyed one of the best 12-month periods in its 44-year history, selling 3,659 units. That achievement placed the Serra team 16th among Chevy dealerships nationwide.